After spending the year dressing the world’s most beautiful women, Integrity Toys designer Jason Wu has now costumed a high fashion doll for charity. Following Vivienne Westwood, Christian LaCroix and Valentino before him, Wu has designed the 2009 Official Life Ball fashion doll to benefit the Life Ball organization. 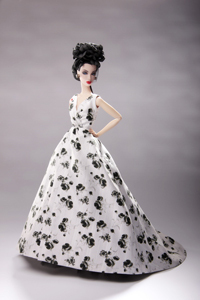 The doll, created in conjunction with Integrity Toys, wears a replica of a chic evening gown from Wu’s romantic fall 2008 ready-to-wear collection. Its gown is constructed from custom-printed fabric in a floral pattern. The charity doll marks the debut of Integrity Toys’ new Fashion Royalty Monogram collection. 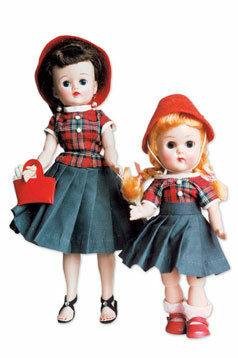 Twelve inches tall and part of a 250-piece limited edition, the dolls will retail for $270. Integrity Toys is taking a notification list for The Official 2009 Life Ball fashion doll at http://www.integritytoys.com/lifeball.php and expects to sell the doll via a lottery drawing from all names on the list to be held around May 16—the date of the Life Ball event. “I am thrilled to partner with Life Ball to support HIV and AIDS treatment, research and prevention, and to be in the company of the great designers who participated in this project before me,” says Wu. All of the net proceeds from the sales of the 2009 Life Ball Fashion Doll by Jason Wu will be donated to Life Ball. PreviousAnd the Nominees Are … ! NextKish & Co.’s Third Time’s a Charm a Success!